Twelve month’s ago today, Lemonade opened for business. For me, it marked the start of a new chapter in the history of the insurance industry. To coincide with their launch, I posted this article after speaking with CEO and co-founder Daniel Schreiber. The headline was “insurance will never be the same again!”. Of course, it was easy for me to make such a grand pronouncement twelve months ago, on the day that Lemonade hit the street. At that time, they had no customers, had not written any insurance and had certainly never paid a claim. One year on and Lemonade are up and running. Was I right to say insurance would never be the same again? I caught up with Daniel again to find out! First things first, let me set some context. A question I get asked a lot by insurers and industry folk is, “why should we be interested in what Lemonade are doing?” It’s a great question and exactly what they should be asking. (I also point out that they need to be really interested in what ZhongAn are doing as well). To massively over-simplify and paraphrase Clayton Christensen, Lemonade have brought simplicity, convenience and affordability to a marketplace where the existing offering is complicated, expensive and inaccessible. This is why the incumbent insurers need to take note when Lemonade pay a claim in 3 seconds. Otherwise they could end up like DEC. Once the market leaders in minicomputers, DEC dismissed the rise of PCs, only to watch helplessly as IBM and Apple ate their lunch. Or Kodak, the inventors of digital photography. They were too wedded to an outdated business model that relied on people printing their photos. That was until it was too late and they went from being the world’s 4th largest brand to bankrupt in less than 2 decades! Now, it might have taken about 15 years for the demise of Kodak and about 10 for DEC to wake up and smell the coffee. The point being that disruptive innovations don’t take hold over night; they need time to gain traction and build momentum. But in this digital age, this speed of change is increasing. This is the key characteristic in the World Economic Forum’s definition of the 4th Industrial Revolution. It took Google just 5 years to hit a $1bn in revenues. And Amazon only 4! Just think about this for a second. A decade ago we didn’t have the iPhone or the iPad, or Kindle, Uber, AirBnB, Android, Spotify, Instagram, WhatsApp, 4G. Could you imagine life without these now? 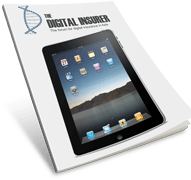 Could you conceive that insurance is going to change and for the better? There is another reason why incumbent insurers should be watching Lemonade very closely. They’ve addressed the fundamental “issue” with insurance and customer perception; which is trust, behaviour and the conflict of interest. There’s a ton of research and data that shows customers don’t trust insurers. And for good reason. Insurers make the product complicated by using fancy jargon that Joe and Josephine Bloggs cant understand. Insurers get paid up front and then create hurdles and barriers when the customer rightfully asks the insurer to do what they’ve already paid them to do. And worse, the customer has to prove they are not a liar to the insurer’s satisfaction before a penny is paid out. This conflict of interest doesn’t exist in the Lemonade business model. By operating as a tech platform that is also an insurance carrier, Lemonade have separated cost of operations from the pool of risk capital. They’ve also raised the bar when it comes to total cost of operations at 20% GWP. Lemonade don’t profit from non-payment of a claim (in the way an incumbent insurer does). They start by trusting their customers to make honest claims. Which is why they pay out straight away with around a third of claim payouts fully automated. No human intervention at all. Lemonade accept there are a few bad apples, but they work on the premise that most of us are fundamentally decent people. It is usually at this point that the diehards and old laggards of the insurance industry start throwing fraud and loss data at me. Citing decades of data that proves Lemonade will eventually crash and burn under the weight of inflated and illegal claims. My response is always the same “hands up everyone who is a bad person.” Of course, no hands go up because the vast majority of us are decent, respectful, honest people. Which is why Lemonade have now had 6, yes SIX, customer’s who have handed claims pay-outs back. A customer makes a claim (in seconds), gets paid (immediately), finds the situation has changed (later), realised they got paid too much (oops! ), then gave it back (you kidding me?). Could the customer’s behaviour be directly related to Lemonade’s behaviour? Yes, certainly! You only have to look at customer behaviour at Grameen Bank in Bangladesh to see that trust can be relied upon. Here, unsecured personal loans are re-payed on time without the need for credit scores and debt collection agencies. You dont have to take my word for it either. Hot out the oven is this video of Lemonade customers in New York. So, what’s the story, one year on? Lemonade have been true to their word on the subject of transparency. Throughout the year, they have published their numbers, warts and all, for everyone to see. Building and maintaining trust is fundamental to Lemonade’s business model and this starts with being open and honest. Daniel has shared with me the latest numbers and they are very impressive. I won’t repeat them here because I know the team will be posting them all shortly in the latest Transparency Chronicles. They’re proud of the numbers and rightly so. All I will say is that Daniel and the team have steered a considered and thoughtful course in their first year. They could have chased the numbers, as many 1st year start-ups would do, only to regret the quality of business they end up with. But they’ve stuck to their knitting, have impressive growth numbers, a quality customer base completely aligned to the brand, and are now licensed in 18 states (with more to follow). You shouldn’t be! Lemonade are a highly professional start-up and will no doubt become the definitive case study for exactly how “it” should be done. But has this surprised Daniel? “There are 2 things that has surprised us this year,” Daniel told me. “First, the extent of the warm reception we’ve received across the industry and from customers. We hoped customers would like us, but we never took for it granted. “After all, you can’t beta test a new insurance company. The MVP approach simply doesn’t apply to insurance. It’s regulated and has to be the real deal from the get-go, right first time. So, for us, having customer’s put their faith in Lemonade from day 1 has been very satisfying. “The second is that our faith in humanity and behavioural economics has been affirmed. There will always be people who want to game the system, but on the whole, all our expectations about customer behaviour have been exceeded. Lemonade are live; insurance will never be the same again! For me, I’m convinced. Historians will look back to 21st September 2016, the day that Lemonade opened for business, as a watershed for the insurance industry. When the numbers come out, you’ll understand why. Which means of course, that the key question now is who, amongst the incumbent insurers, will provide the Kodak moment? The one’s who simply missed that the world had changed until it was too late. 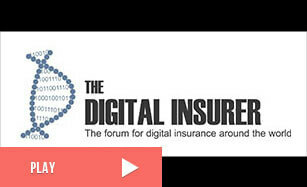 Rick Huckstep is the Chairman, The Digital Insurer. Rick is an InsurTech thought leader, keynote speaker, advisor and investor to tech start-ups.